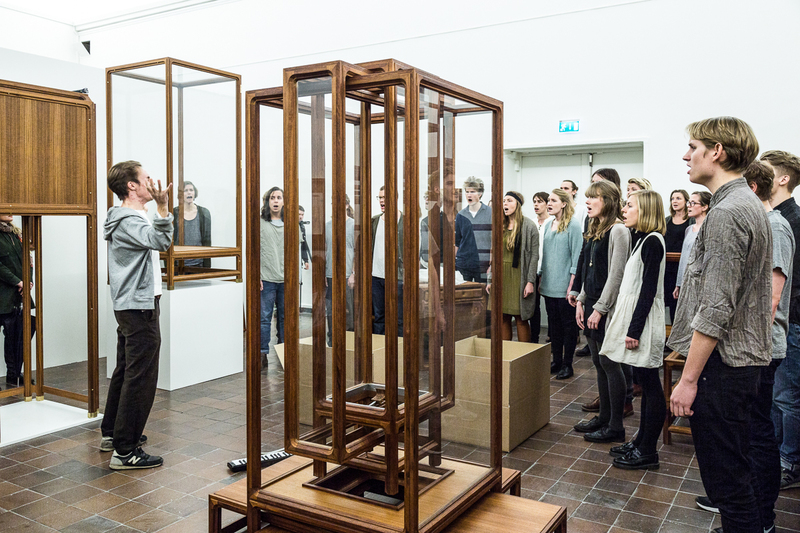 Gothenburg Indiechoir performing Muna, where are you now at GIBCA (Gothenburg Biennal for Contemporary Art) at Göteborgs Konsthall November 18, 2015. In the book De Förlorade Barnen (The Lost Children, 2013), authors and journalists Katia Wagner and Jens Mikkelsen write about unaccompanied minors arriving in Sweden, only to disappear. One such example of a missing child is the 14-year-old girl Muna from Somalia who had been in Sweden for five months. She got on with her schooling and her new life with a foster family, but one day when the foster family went to do errands Muna stayed home alone, and during that time she disappeared. Her clothes were gone but her medications were left behind. When the family finally got in touch with her, she said: “Please help me, I don’t want to be here, I want to come home.” The foster parents contacted the police, who did nothing. Muna has now been missing since 2010 and no one knows what happened to her. While working on this piece I have been in contact with Katia Wagner to get permission to use material in the book as the basis for writing the music. I also wanted to hear if new information has emerged in the case of Muna. It has not. Between 2007-2012 almost 800 unaccompanied refugee children in Sweden disappeared who are still missing. It is so easy for these children to simply become statistics and statistics can be difficult to take to heart. My interest in the Group as identity marker has become evident in my art and research: The group that is collective-inclusive, exclusive, the group as threat, group security – but present are also ideas of ethnicity, gender, class, and music as the essence of a unifying force. I would love to explore and work more closely with processes that enable non-professionals’ participation in artistic collective creation, as well as running art projects close to issues of identity/group identity and the narrative/that excluded from the collective narrative. In this way GIBCA’s (Göteborg International Biennial for Contemporary Art’s) theme this year – A Story Within a Story – is especially interesting for me as I believe the work Muna to contain many layers of narrative. November 18, at 18. 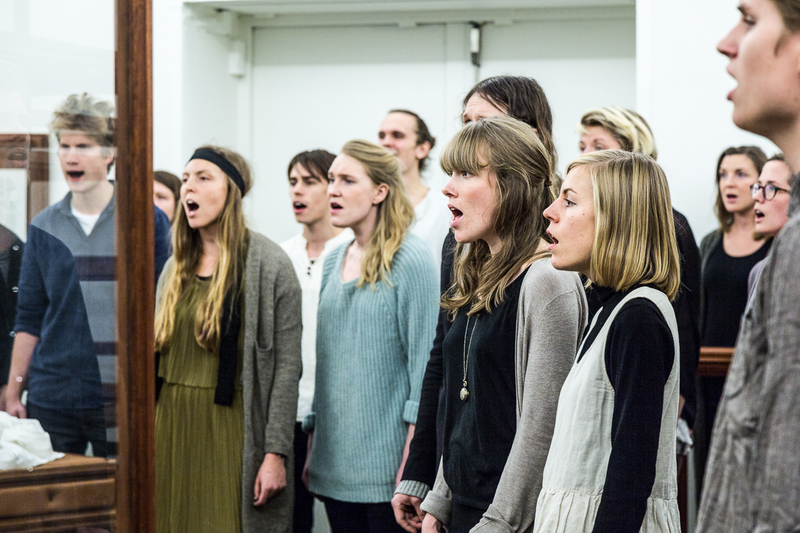 30 artist Karin Sandberg and Gothenburg Indiechoir presents the work Muna, where are you now? as a performance during GIBCA (Gothenburgs International Biennal for Contemporary Art) at Göteborgs Konsthall, Gothenburg, Sweden. 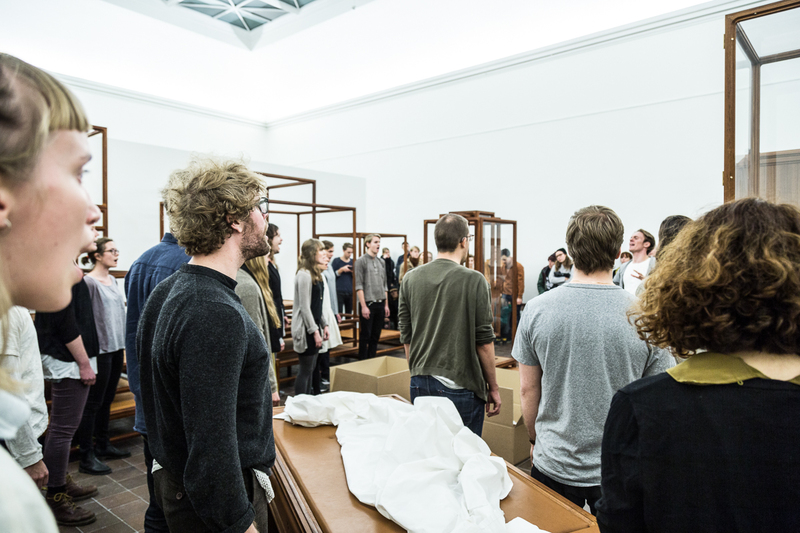 The project is an inquiry into activism through the human voice where the collective song asks questions without answers.